This seat really should be abolished. It is a shotgun marriage, demographically and culturally. I think the Commission should either create a South Pennines seat (as Saddleworth parish council suggested) or (preferably) return Saddleworth to Yorkshire for electoral purposes. By ‘demographically and culturally’ I mean firstly that Saddleworth is traditionally in the West Riding and is proud of that, and secondly that the character of the two areas is very different. Michael White of the Guardian put it very well: ‘Coronation Street meets Last of the Summer Wine’. It is hard to imagine that a Conservative vote has declined so sharply in just one year anywhere else. Last year the seat was a Labour gain from Lib Dem. But the sharp rise in the Labour vote is almost as noteworthy as the decline of that of the other 2 main parties, who have clearly lost almost all of their support to UKIP. Labour would however certainly swap this result for one even half as good as this in a more battleground constituency. Well done to Labour here. That is a very good result. On the face of it, there cant be many Labour-held constituencies where their lead over the LDs in 2012 local elections was as little as 2% – quite striking compared to the likes of Manchester Withington – when you consider they are both in the same region! Looks like this seats spell as a three-way marginal in 2010 might revert to something of a Labour-Lib Dem fight, although Labour probably have the upper hand now (especially following the by election). That LD share in 2012 might be flattered slightly be the lack of other candidates beyond labour/Conservative in most wards. Perhaps the Alexandra By election evidences that when others like UKIP enter the fray – it could be the LDs that are harmed the most here. Sorry, The Results, but the Tories will not be coming second here. This is not Rochdale and the Lib Dems will hold onto second place fairly comfortably, although they will be someway behind Labour – I will make a firmer prediction nearer the time. I think it will be close for second place, but at the moment I tend towards the Tories just edging it off the Lib Dems. You are mistaken, the Lib Dem local party is far too strong and they will squeeze the Tory vote here to some degree. Also, there will be no competition with Rochdale as the eggs will be in this basket for the local Lib Dems. Have to agree with Catholicleft here. Both the byelection and subsequent local election results imply a respectable Lib Dem place and the Tories being squeezed down. As Catholicleft says, it is a quite different situation to Rochdale. ….which is interesting, since this constituency & Rochdale have quite a similar character, even though this seat has a larger rural element than Rochdale. The LDs have imploded in Rochdale but are still quite strong here in the rural wards. The Lib Dem vote in Rochdale mainly came from those who would have formerly favoured the Labour Party and a strong Tory vote has been retained in local elections. At General Elections, Tories would swing behind the Lib Dems to keep Labour out, this will not be the case in 2015. Here in OE & S, the Lib Dem vote has largely been of a more right-wing variety where it is in the rural wards and less likely to be easily picked off by Labour or the Tories. I still think that Tories would swing, to some degree, behind the Lib Dems in a General Election here. I imagine you’re right here CL, in the by-election it was clear the social democrat Lib Dem vote went to Labour and the anti-Labour vote went from Conservative to Lib Dem, which kept their vote respectable. In 2015 I’d imagine Debbie Abrahams to win by abour 5-6000 votes, which would be an incredible result for Labour given the 97 result, albeit on different boundaries. Yeah this should be a Labour hold. Out of interest, is Debbie Abrahams on the Labour frontbench? With maybe a few exceptions, I believe most of Labour’s by-election victors have some kind of shadow ministerial brief now. Sarah Champion is a PPS to one of the shadow cabinet members. Surprised though a tad skeptical by how many newcomers from the 2010 election got promoted so quickly. Did the Tories do this with any of the 1997 intake in their first Parliamentary terms? I don’t think she is – I saw her a few days ago contributing to an all-party select committee chaired by Dame Anne Begg. So I guess she’s a backbencher. Although the Lib Dems did not take this from Labour at the byelection in 2011, their vote actually went up a tiny bit. Given where the Lib Dems where in terms of popularity at the time, could that say something about their chances of perhaps staying in touch here longterm or was it merely a personal vote for Watkins after his high profile that had been gained in the time leading up to the petitioning of the original result? The local elections results are in pretty stark contrast to neighbouring, and apparently rather similar, Rochdale. 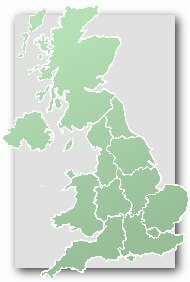 In the latter, the LDs are truly in freefall and were unable to win a single ward in the last local elections, whereas here they are clearly still the main opposition to Labour & continue to win the rural wards, and are still competitive in Shaw too though Lees seemed to have swung over somewhat towards Labour. I think they will continue to stay to some extent in touch with Labour though I don’t see Debbie Abrahams being in any danger – after all, she has the benefit of almost a complete first term’s incumbency, unlike most by-election winners. The LD vote is holding up much better where it is primarily rural and/or Tory-leaning. That is clearly the case here. If Littleborough & Saddleworth still existed today I assume that Labour would have come third in 2010? I’m not convinced Lib Dems will hold second place,here based upon that by election. I think they will finish a little above the greens but Tories will be a strong second. I’m fairly sure the Lib Dems will hold second here. Dalek – Littleborough & Saddleworth would have been held by the Lib Dems over the Tories, with Labour third. The Lib Dems will probably hold 2nd place – but it will be a distant 2nd place at best. They have not won the St James or the Waterhead wards since 2010 : Labour are now clearly ahead in both. And in 2014 they also lost their previous strongholds of Saddleworth West and Lees ward (to UKIP) and the Saddleworth North ward (to an Independent). I think Labour could be 15 – 20% ahead, improving on their by-election result. Labour Hold. 7,000 majority. Tories 2nd. There is an item on BBC teletext, about a local government candidate in Oldham being told someone had already voted using his name. The unsuccessful Lib Dem candidate here was previously a longserving Liverpool City Councillor. Indeed. This is now a clear marginal between Labour and the Tories. Well Tories plus UKIP were well ahead of Labour but this is the sort of place I can imagine a lot of the UKIP vote being Labour-inclined so probably a tricky amalgamation. I thought the LDs would hold a distant 2nd here due to relative local strength TBH and that the Tories did well to maintain their vote here considering they’ve only won Saddleworth S in 2011,2012 and this year. I agree with Runnymede that the UKIP vote is probably a real odds and sods vote and that this was probably one of the seats with the highest level of direct LD>UKIP switching. This was a slightly underwhelming Lab result but still more or less the same as 2001 and 05 numerically and Debbie Abrahams is likely to retain this seat on current boundaries with at least 38-40% over a divided opposition for the foreseeable future. LOL and to think I was criticised further up the page for this seat some time ago when I predicted the Tories would take second place- it turns out I was right! Very interesting Andrea–perhaps not all that surprising..
Michael Meacher sadly passed away today – he was a principled and decent man who often swam against the tide of New Labour ideals. Of course it means there’ll be an interesting by election in November to replace the Corbynite in this complex and fascinating seat. Uh, you want Oldham West not Oldham East I think. apologies, yes, posted a few hours ago. It’s certainly not difficult in the current climate to see Labour being squeezed from the left by UKIP and the right by Tories in a seat like this. Given there is also likely to be further unwind of the residual LD vote too – which someone upthread noted was possibly more of the rural (i.e. more pro-Tory) variety – it’s not difficult to see Tories taking this even if they don’t manage more than about 35% of the vote. Furthermore, it’s hard to know what the Tories’ true vote share is in Oldham currently – I mean, prior to 2015 they had been 3rd for a long time and no doubt were still losing some votes going tactically elsewhere in 2015 still. So, even if they don’t have the highest ceiling in the world here, it’s fair to assume it has the potential to be quite a bit more than the 26% achieved in 2015. My comments of course relate to this seat on its current boundaries. How does the proposed Littleborough and Saddleworth compare to the previous 1983 to 1997 constituency? I would imagine that the larger electorate would include more Labour wards not previously within the constituency? As with so many seats this is one where its very dangerous to assume the UKIP vote is Tory facing, I’d hazard in this seat its definitely Lab facing. UKIP’s strength in this seat comes primarily from three wards around the Springhead and Moorside areas. In all three wards the Tory vote was always very low and looking at past election results was seemingly totally unaffected by the rise of UKIP. It was Labour and the Lib Dems who suffered. Like Dalek, I would also be very interested in how the Boundary Commission’s recent suggestion for a Littleborough and Saddleworth seat compares with the wards/areas that comprised the Littleborough and Saddleworth seat that was in place from 1983 to 1997. I see that the current Labour MP for Oldham East and Saddleworth has made vehement comments to the local media about this possible change…arguably, her current seat ‘disappears’ under the Commission’s draft proposals, as the MP for Oldham West has a better ‘claim’ to the new, single ‘Oldham’ seat that is proposed. And presumably she doesn’t fancy her chances much in the new Littleborough and Saddleworth seat, although Labour will doubtless be a better placed challenger to the Tories in this proposed new seat than the LibDems in the immediate future. A projected 2,000 majority for Labour in this new seat on 2015 results (cf Martin Baxter) certainly flatters Labour a little, I think, as the Tories have been ‘squeezed’ in the ‘Rochdale/Littleborough’ half of the seat for years now, and that would likely be ‘unwound’ in a new seat scenario. An interesting and difficult to call seat. The long standing Liberal tradition of Saddleworth (for decades the western end of Colne Vallley constituency) have kept the Liberals and then Lib Dems competitive and the main opposition, first in Littleborough and Saddleworth and then in Oldham East. But note the 2010 result, when the seat became in effect a 3 way marginal. The reluctance of Conservative voters to vote tactically on that occasion was probably more important in costing the Lib Dems the seat than Phil Woolas’s antics. Now the dynamic has changed. The Lib Dems start in 4th place: UKIP in 3rd place have a sizeable 2015 vote : The Conservatives start second and have an opportunity to squeeze the vote of those below them. A starting point for Labour of 39% in the current climate seems less than secure. The wards nearest Oldham centre will probably stay Labour but as well as the 15% Asian vote, there are also many WWC voters of the type Corbyn struggles to appeal to in this area. Up in the hills, the small towns and villages are exactly the type of Pennine communities which help the Conservatives win in Calder and Colne Valleys. Labour favoured – but not by much. Conservatives have selected Kashif Ali. Ali contested the 2010 General Election and 2011 by-election in this seat. A barrister in Manchester, he is also a former Deputy Chairman of Manchester Conservative Federation and trustee of a charity supporting homeless people with mental health issues. The names rings a bell – was that the By-election where the Cons famously did nothing (presumably in an attempt that the LDs might beat Labour). Kashif Ali is was born in the town and is a local. He is not a remainer, he campaigned to leave the European Union. He last stood in 2010. Debbie Abrahams has quit as Shadow Work & Pensions Secretary, it seems over an internal bust-up with the leader’s office. In fairness, she has been fairly anonymous. Frank Field has done a much better job of holding the government to account, from his position running the DWP Select Committee. Yes, in fact she’s now been on NW News accusing the Labour Leader’s office of bullying her! She’s also threatening to sue the Labour Party. I thought Abrahams could be the first ‘permanent’ female Labour leader. Looks like that could be out the window now! I think you were on your own there the bookies have quite a few ahead of her; Emily Thornberry, Angela Rayner, Rebecca Long-Bailey, Lisa Nandy, Yvette Cooper, etc. Please, please please not Thornberry! She’s been excellent at the dispatch box when standing in for Corbyn at PMQs but she has no voter appeal whatsoever! Would be a huge liability for Labour as leader!